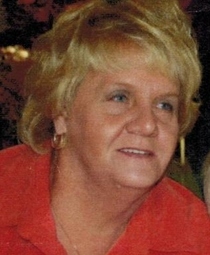 Judy Kay Payne Metzger, 67, of Linton, Indiana passed away on Wednesday, June 1, 2016, at her home in Linton surrounded by her family. She was born on February 18, 1949, in Linton the daughter of Leroy Payne and Dorothy Wright Payne. She was a member of Cornerstone Church in Switz City. Judy was preceded in death by her parents, four brothers, Rex Payne, Max Payne, Joe Payne and Jack Bough, and one sister, Cheryl Shields. Survivors include her husband, Melvin Metzger, three daughters, Tracie Purcell (Bobby Bowersock) of Jasonville, Wendie Purcell of Linton, and Sara Bowersock (Dustin) of Switz City, one step-son, Robert Metzger (Kat) of Hammond, three step-daughters, Cathy Metzger of Justin, Indiana, Laura Kline (Matt) of Calumet City, Illinois, and Patty Metzger of Calumet City, Illinois, one brother, Melvin Payne (Sharon) of Linton, one brother-in-law, David Metzger of Calumet City, one sister Vanetta Graves of Linton, six grandchildren, Austin and Cody Holmes, Quintin Resler, Isaac Bowersock, Jayden and Abram Bowersock, several step-grandchildren, and several nieces and nephews. Funeral services will be at 1:00 PM, Monday, June 6, 2016, at Newkirk’s Funeral Home with Pastor Gregg Orman officiating. Interment will follow in Sandborn Cemetery located in Sandborn, Indiana. Visitation will be from 11:00 AM until service time on Monday, June 6, 2016 at Newkirk’s Funeral Home.